Declaration (2017) | Gwendolyn Terry’s Declaration installation at the Exelon Observatory on Chicago’s 606 Trail features more than 11,000 handcrafted flags, thousands of which were made by more than a thousand students and community members. Inspired by the first article of the Universal Declaration of Human Rights, the large-scale installation promotes a self-reflective forum of expression for Chicago youth. You can read more about the work here. Wall – “Residuals of Violence” (prototype, Journeying La Divina Commedia, 2016) | Wall of handmade bricks fabricated from sand for interpretation of the Sands of War section of Purgatorio in the performance of Journeying La Divina Commedia at the University of Notre Dame, 2016. You can read more about the work here. Hive (2016) | 3D-printed hive form and resin with interior lighting, 2016. You can read more about the work here. Mythical Beasts masks created for Purgatorio (Journeying La Divina Commedia, 2016) | Masks of Mythical Beasts that were created for Purgatorio in the performance of Journeying La Divina Commedia at the University of Notre Dame, 2016. Masks created for Purgatorio (Journeying La Divina Commedia, 2016) | Masks that were created for the Purgatorio chorus in the performance of Journeying La Divina Commedia, 2016. Mask for Tsukasa Taiko Reduction at the Museum of Contemporary Art, Chicago (2015) | Inspired by the character of Nue in traditional Japanese folklore, this mask was commissioned by contemporary dancer Ayako Kato for her performance in Tatsu Aoki’s Tsukasa Taiko Reduction at the MCA in December of 2015. Murmur ation (2014) | Over 16 feet high, Murmuration incorporates more than a thousand feathers suspended on strands of crochet thread encompassing a structure of bamboo. The piece is inspired by the movement of starling murmurations, where a single focus informs a large body. 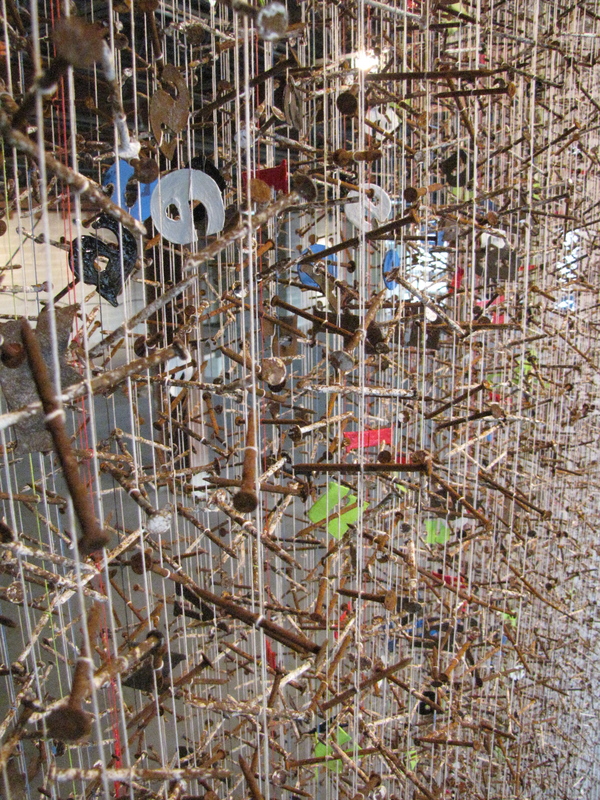 Gwendolyn Terry was recently awarded a 2014 ArtPrize Seed Grant by the Frey Foundation to assist in the installation and exhibition of Murmuration at ArtPrize 2014. You can read more about the work here. I Was Born for This (2014) | Commissioned by the University of Notre Dame, I Was Born For This is over 18 feet high and features more than a thousand feathers suspended on string and layered in dimensional waves that echo the murmuration patterns of birds in flight. The feathers swirl around a cedar tree, which is severed into five segments. You can read more about the work here. 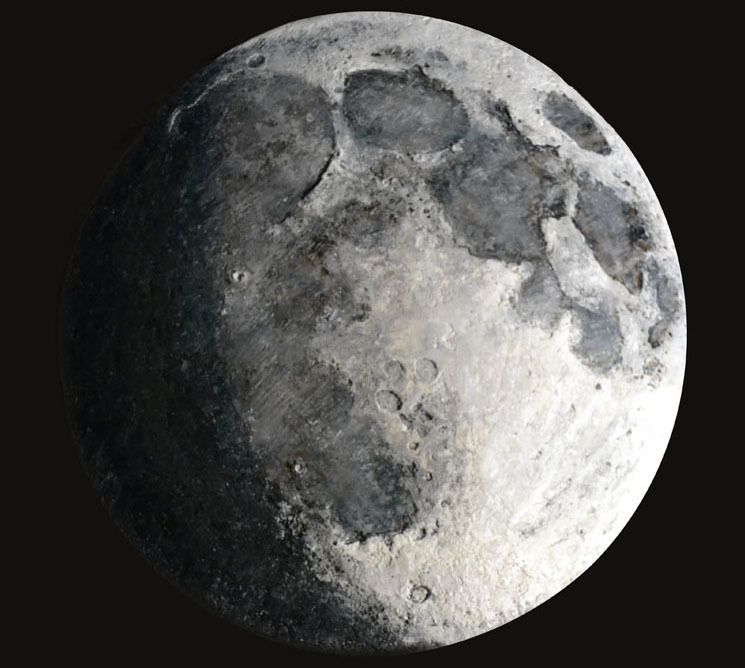 Three-quarter Moon (2013) | The Three-quarter Moon (24″ diameter) is a representation of our Moon in a gibbous phase, composed of encaustic paint on a curved wooden disc. Three-quarter moon is in private collection. You can read more about the work here. Still Point Lantern (2013) | Gwendolyn Terry’s most-recent addition to her Still Point series of works is a suspended ceiling lantern composed of corroded nails, die-cut letters, string, and three incandescent bulbs. 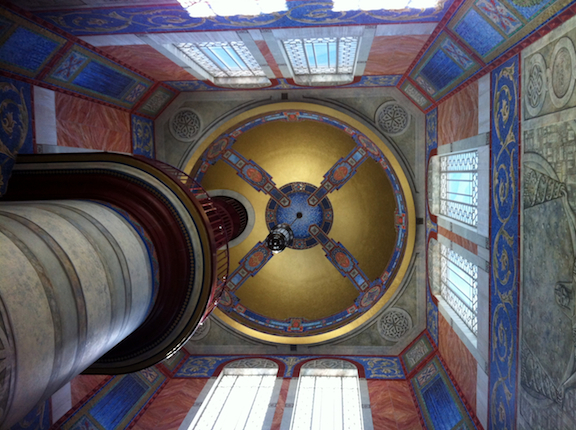 The lantern was displayed at Marwen in Chicago, and is now in private collection. You can read more about the lantern here. Apogee and Perigee (2013) | Gwendolyn Terry’s encaustic works, Apogee and Perigee, were shown in the Encaustic USA exhibit at Arc Gallery in Chicago, which ran from June 26 through July 20, 2013. 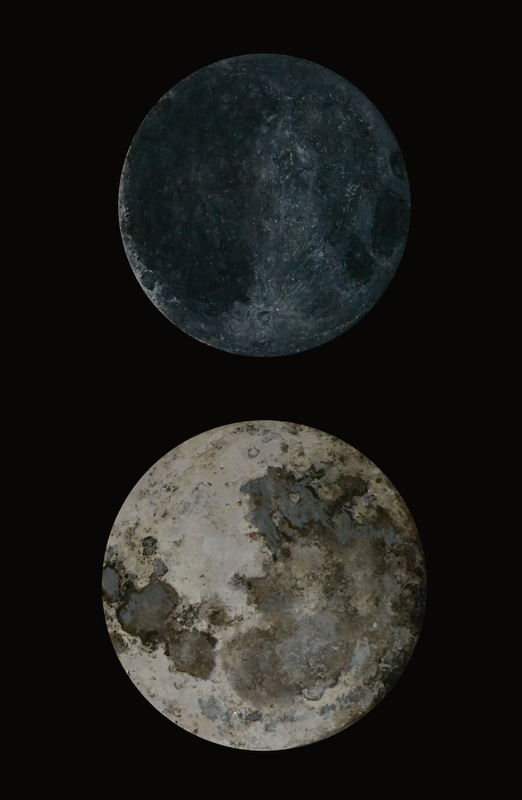 Apogee (19″ diameter) and Perigee (23″ diameter) are representations of lunar spheres, composed of encaustic paint on curved wooden discs. Read more about Apogee and Perigee here. 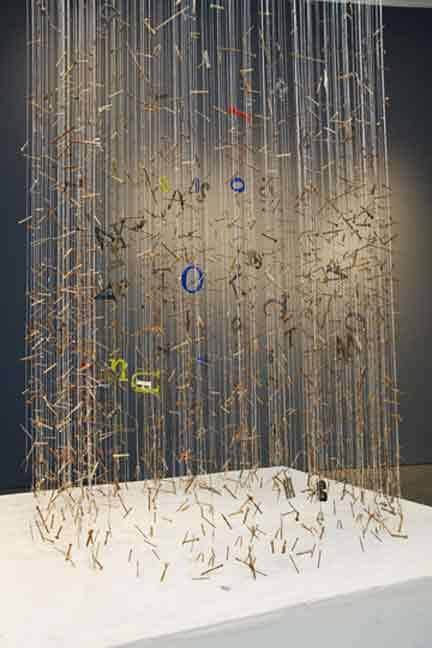 Still Point (2012) | Inspired by the “Alchemy of the Word” section of Arthur Rimbaud’s prose poem “Une Saison un Enfer,” Still Point is a fluid “wall” 20 feet long and 11 feet high composed of die-cut letters and 60,000 corroded nails suspended on string. Still Point was most recently installed at Art Prize 2012 in Grand Rapids, Michigan. Read more about Still Point here. Sovereign (2010) | Composed of hand-screened textiles, regal objects, concrete fragments, & earthly debris, Sovereign is a vision of the decay of fading monarchies, political movements, and beauty, as their elements and symbols are reclaimed by the land. 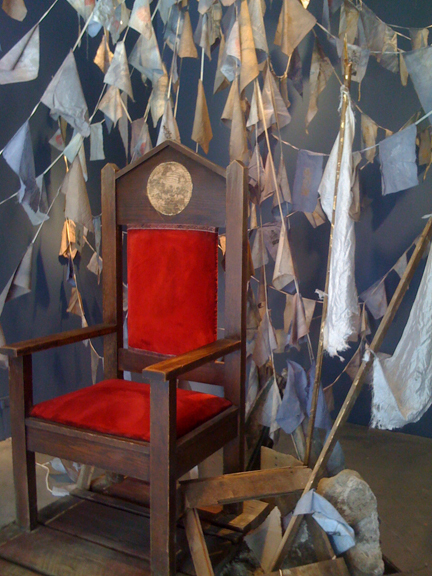 Sovereign was an installation piece created by Gwendolyn Terry for her 2nd solo show at Phaiz Gallery, and was also later used as the set piece for a fashion editorial. You can read more about Sovereign here. 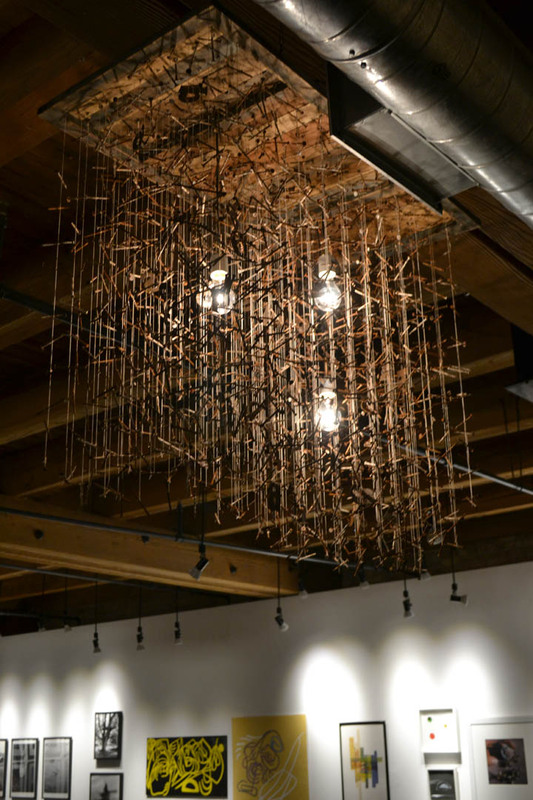 Still Point of the Turning Earth (2009) | Composed of corroded nails and die-cut letters suspended on string, the installation was a chandelier column 18 feet high by 3 feet wide. It was originally inspired by the “Alchemy of the Word” section of a prose poem by Arthur Rimbaud (“Une Saison un Enfer”), and was an early study for a much larger piece (the 20-foot long, 11-foot high Still Point. Still Point of the Turning Earth was exhibited as part of Gwendolyn’s 1st solo show at Chicago’s Phaiz Gallery. You can read more about Still Point of the Turning Earth here. Commercial Work | For 15 years, Gwendolyn worked as a professional scenic and installation artist, designing, creating and installing architectural facades, theatrical sets, retail window displays and commissioned pieces. Work that she has crafted, both individually and as a member of scenic teams, has appeared in universities (the interiors of the Williams Tower at the University of Denver), Tony-award winning plays (Tantalus), private homes and retail shops (Anthropologie).